History: Dogie is cowboy slang for a motherless calf, alluding to the area's ranching history. Cowboys once herded cattle along this route through Sycamore Canyon and the evidence remains in the form of stock tanks that sit along the path. 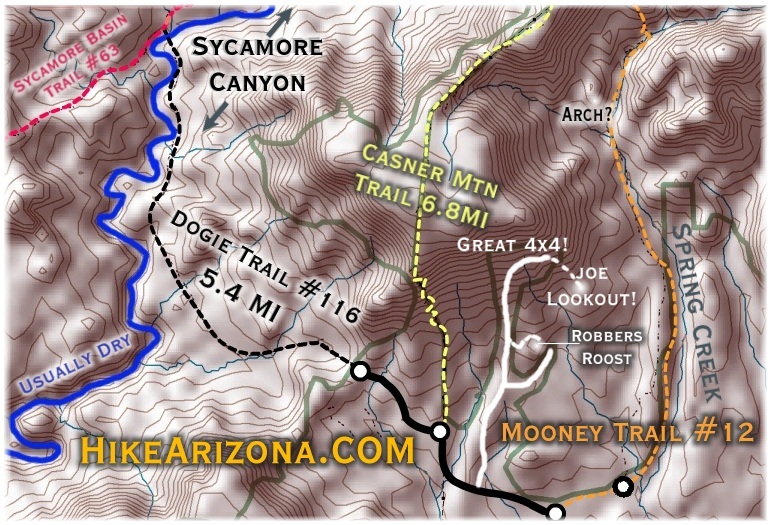 Hike: The Dogie Trail offers hikers and horsebackers a chance to experience on of Arizona's spectacuns without all of the crowds. If solitude is what you seek, this could be the trail for you. The trail descends into the heart of the Sycamore Canyon Wilderness. For those who long for rugged beauty unspoiled and untamed by man, Sycamore is one of the few paces in the southwest that can lay claim to such a lack of man's accomplishments. The trail into this primitive area begins at a saddle 200 yards from where you should park your vehicle. Expect a panoraic view of the canyon from this pass. Javalina, deer, quail, and numerous other animals call this country home. Pinyon pine, juniper, Arizona cypress, brush fields and wildflowers are abundant. Make sure you take lots of water for this hike especially during late spring to early fall months. Temperatures quite often exceed 110 degrees in the canyon bottom. From the corner of SR260 & SR89A in Cottonwood Arizona go north on 89A 8.9 miles to FR525. 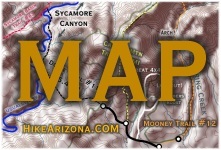 FR525 is 9.6 miles south of the 'Y' if you're coming from Sedona. Go west onto FR525 and follow it 2.8 miles to where FR525C forks off to the left. Follow FR525C to the parking area. Hike the road up to the saddle. The Canyon is not seen from the Parking. Location: About 50 miles south of Flagstaff (14 miles west of Sedona) on paved and gravelled roads. 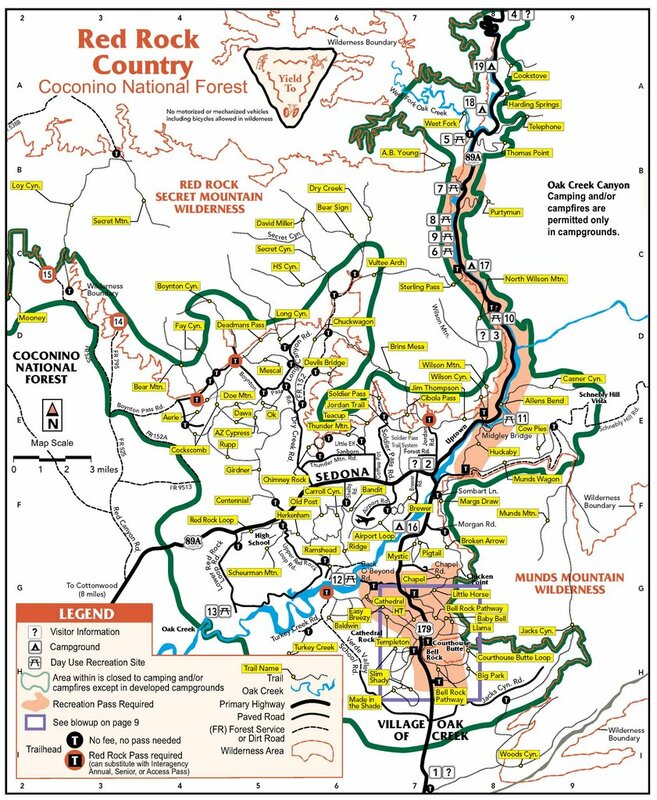 Access: Drive 30 miles south from Flagstaff through Sedona on US 89A. Five miles past Sedona turn north on FR 525 and follow the signs to Sycamore Pass. Turn west on FR 525C and continue for nine miles to the parking area. Hike road up to the saddle.